We are always expanding our programs! Click on one you’d like to learn more about below. 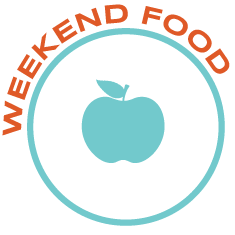 Weekend food will always be the first priority of The Food Group, as this was the initial program our organization was founded upon. We know kids who are hungry cannot learn. The weekend food bag is high protein and low sugar – providing a meal that a child can, with some adult help, prepare on their own. Also, a full box of cereal or granola bars, and during the school year, two pieces of fresh fruit. We work together with Ridley’s to order high quality and affordable food. Volunteers pick up the food at Ridley’s and take it back to either their church or their home or their school and sort the food into bags for kids. The school distributes the bags to students on Thursday or Friday to bridge the gap from Friday lunch at school to Monday breakfast. 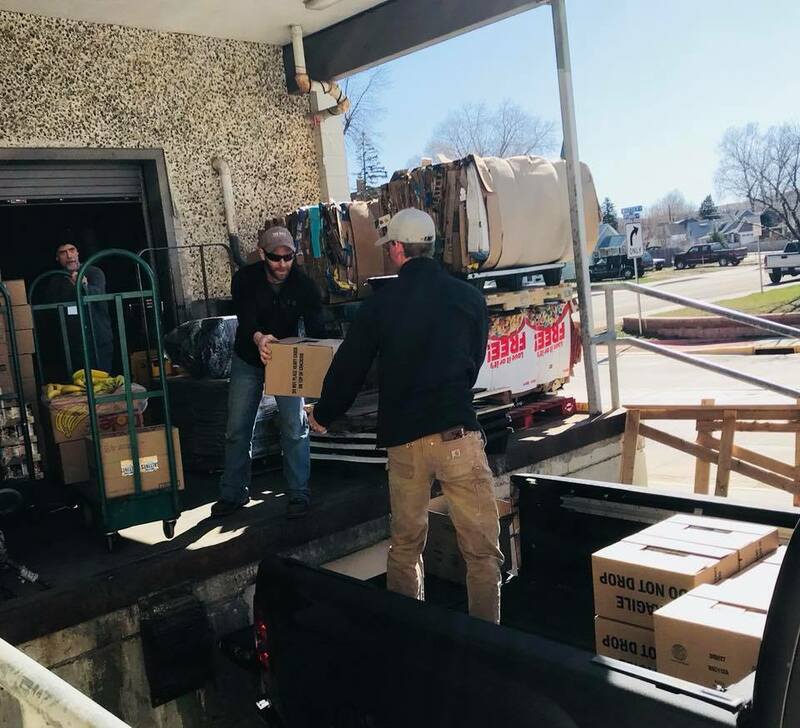 Volunteers arrive at Ridley’s on Wednesday morning to pick up the food that will then be sorted for the site they are serving. Each group of volunteers sorts and packs their bags in a different fashion – some groups take the food back to a team at their church. Some families pick up the food and do one week for a school as a family or with friends. Some weeks, the food is taken to a school where students pack the bags for the kids served at their school. Old newspaper vending machines were donated by Billings Gazette and the Sheridan Press to be refurbished into Little Free Pantries. Thanks to Ashley Cooper and her art students at Sheridan High School, the outside of the pantries are unique and fun! Thanks to Powder River Heating and AC, the insides of the pantries are functional. Anyone can access these strategically placed pantries – Take what you need. Leave what you can. Above all, be blessed. 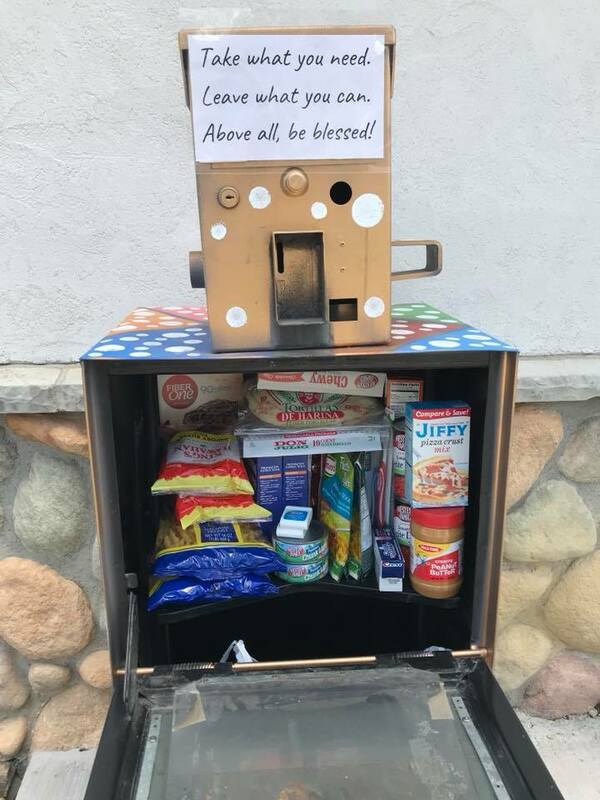 Little Free Pantries can be accessed anytime! Teen Pantries are located in junior high schools and high schools. In these pantries, students are able to choose what they need and will eat. We are also able to include hygiene items in these pantries. Summit Nazarene church adopted one of the Teen Pantries and works as a congregation to provide supplies and keep the pantry stocked. 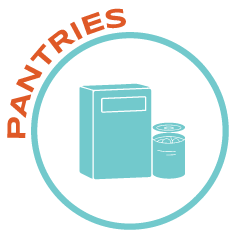 If your church or group would be interested in adopting one of the other pantries, please, give us a call! We know that food is a basic need for children and will always be our first priority. 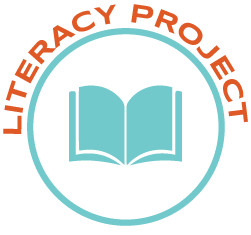 We also know that literacy is a stepping stone out of poverty. In December, we accept “gently loved” books from members of our community, sort them by age group and wrap and distribute them to the elementary school students that we serve. Be watching the Current Events page for the big wrapping event in December! Last year, we wrapped over 1500 books in just a few short hours! In May, we get specific reading levels from the teachers of the children we serve and purchase FOUR brand new books for each child. 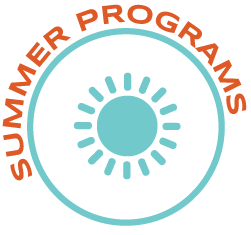 We have received positive feedback from teachers on this program and plan to continue providing quality books for those we serve. 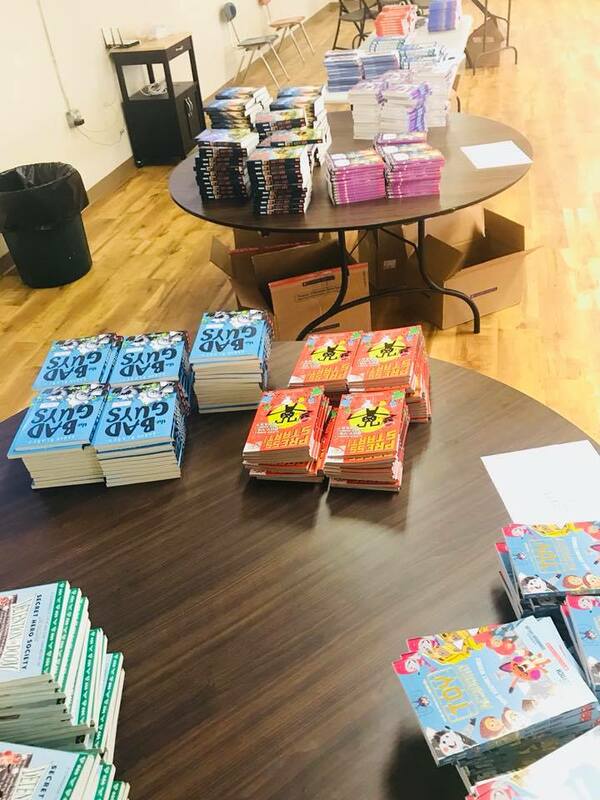 Be watching the Current Events – we will need help unpacking, sorting and labeling these books in May! 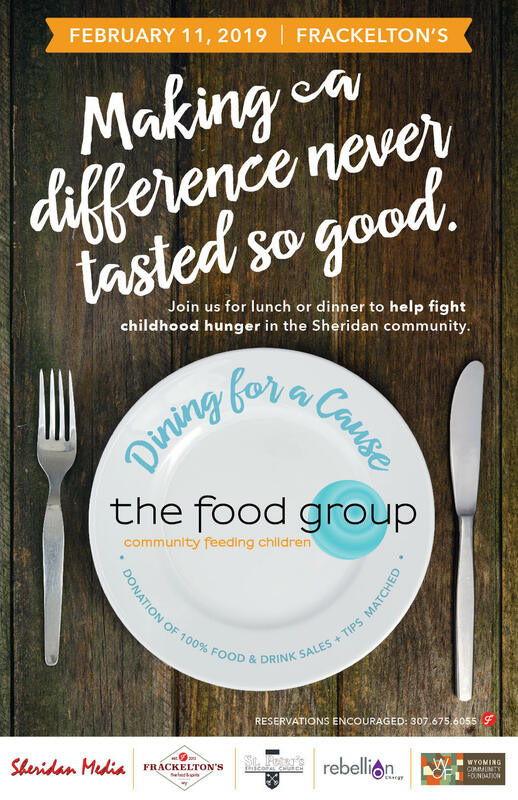 Book and a Bite – every day during the summer from 11:00-11:30 – in partnership with Sheridan County Fulmer Public Library, while a picture book is read to the group, a sack lunch is provided . 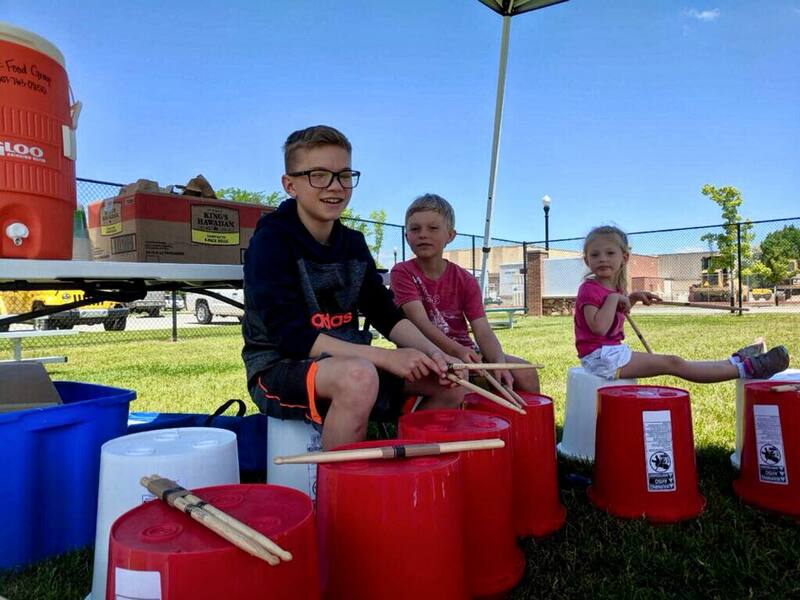 YUM Line – every afternoon from 1:30-2:00 – get drumming on a bucket and enjoy a healthy snack.